In the studio, the Les Paul Reference Monitors provide superior instrument definition, imaging, and transient response for accurate mixing and mastering of all musical genres. And in the home, these premium two-way speakers deliver the pristine sound quality that artists hear in the studio. Make mixes that "translate" superbly, master with confidence, or simply enjoy a superior listening experience—these speakers truly further the legacy of the man who invented multitrack recording. 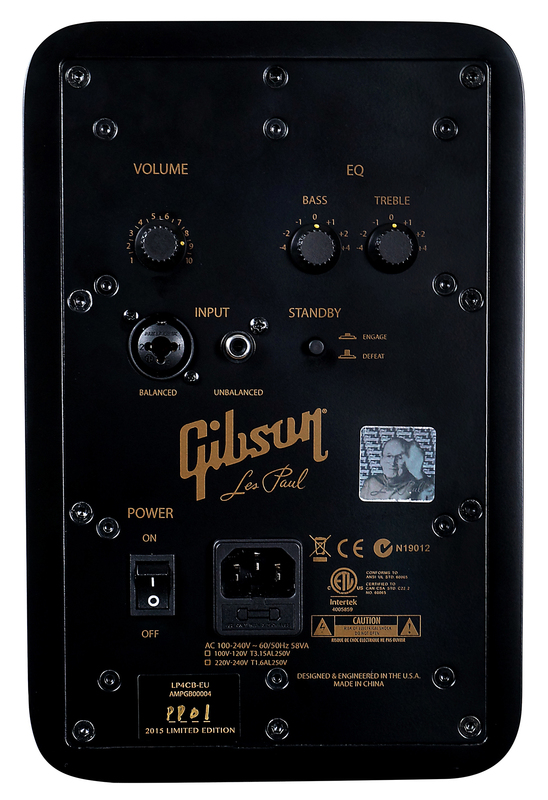 It’s time for you to hear all the music—audition the Les Paul Monitors today at your Gibson Pro Audio dealer. Dimensions (H x W x D): 258mm x 166mm x 241mm / 10.16" x 6.54" x 9.49"
Weight: 4.8kg / 10.5 lbs. Copyright © 2019 Gibson Guitar Corp. All rights reserved.